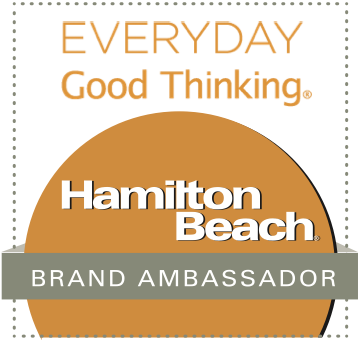 It's time for another Wendy's Favorite Things roundup...and I've got some great food and kitchen items to share with you today! As usual, I've tried all of these items out in my own kitchen and loved them...and I'm excited to share them with you. So...let's get started! 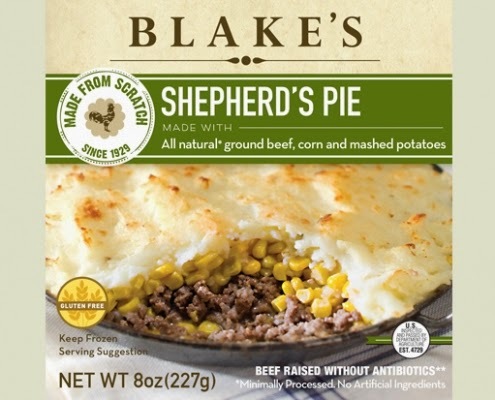 (1) Blake's All-Natural Frozen Meals. Blake's All Natural is a line of all-natural and organic frozen single-serve meals. If you don't normally enjoy frozen meals, Blake's will change your mind! These tasty meals heat in the microwave in minutes, but they honestly taste like a home-cooked meal. That's because they're handmade in small batches...not in a huge plant. You can really tell a difference in the end product. I tried several flavors of Blake's meals, and all were really delicious. My personal favorite is the homey Shepherd's Pie. It features a base of ground beef and corn in a creamy sauce, topped with creamy mashed potatoes. It was filling and comforting...and ready in about 5 minutes! 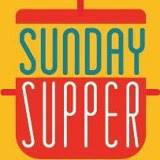 Other yummy homestyle flavors include Chicken & Dumplings and Chicken Pot Pie, which contain large chunks of moist breast meat -- no mystery meat here! To find Blake's All-Natural products near you, check out their handy Store Locator. (2) Stonyfield Frozen Yogurt Pearls. 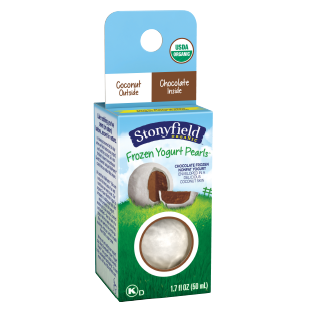 One of my favorite new snacks this Spring is Stonyfield's flavorful frozen yogurt pearls. They feature a core of creamy frozen yogurt covered with an edible skin that's made from real organic fruit! They even come in a two-pack for easy portion control. Frozen Yogurt Pearls come in a variety of flavors, including: Strawberry-Vanilla, Strawberry-Chocolate, Peach-Vanilla, and Coconut-Chocolate (my personal favorite). Each pearl is approximately 2-3 bites big, and the flavor combinations are spot on! If you've ever had mocha, they're quite similar. This is one treat you don't have to feel guilty about enjoying, because each 2-pearl package is less than 60 calories. Most flavors are even fat-free! 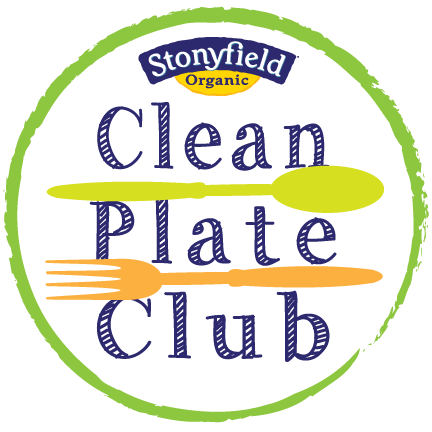 This great new addition to the Stonyfield lineup is available at major grocers nationwide. (3) Woats Oatsnack. 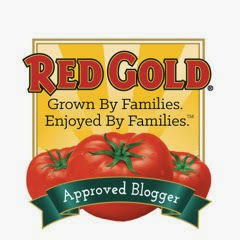 This Texas-based company makes one of my very favorite oatmeal-based products. These versatile woats soft oatmeal bites can be eaten straight out from the bag for an energizing on-the-go snack. However, they're also great for breakfast crumbled on top of Greek yogurt...or even as a topping for ice cream! The Cookies 'n Dreams and Nuts About Berries flavors are fabulous, but I'm especially partial to the Peanut Butter Graham Slam. It features natural peanut butter, crispy graham crackers, and butter toffee peanuts...along with the oat and honey clusters. It's lightly sweet, a touch salty...and totally addictive! 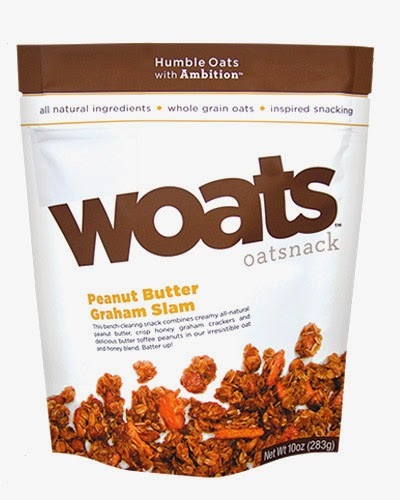 To find woats at a store near you, check out their online Store Locator. (4) Promised Land Salted Caramel Latte Milk. Promised Land Dairy's delicious milk products are made near my San Antonio home base, in Floresville, Texas. They make a full line of milk and other dairy products. However, their fun flavored milks seem to be especially popular -- especially their creative seasonal flavors. From now until the end of April, they're offering Salted Caramel Latte Milk. Trust me, it's as amazing as it sounds! This rich, flavorful milk features whole milk that's flavored with rich salted caramel and a mild coffee background flavor. It reminds me a bit of a melted milkshake...so decadent. It's rich, so a little goes a long way...making it perfect for sharing! This Limited Edition flavor is available at select Walmart locations in Texas, Arkansas, Louisiana, Georgia, Mississippi, Alabama, and Florida. It's also coming soon to select Kroger locations in Texas, Arkansas, and Louisiana...as well as select Texas Brookshire Brothers. (5) Stöger Pure Seed Oils. This line of gourmet seed oils is really fabulous. Stöger oils have made by generations of the Stöger family in Austria. The oils were introduced to North America in 2009. Stöger oils come in a variety of unique flavors, including Cherry Seed Oil, Pumpkin Seed Oil, Tomato Seed Oil -- tastes like sundried tomatoes, Organic Hazelnut Oil, and Chile Seed Oil. Each oil is cold pressed using European standards to create pure oils. I had a great time playing around with these creative oils in my kitchen -- especially the Chile Seed Oil. It makes a great finishing oil drizzled on grilled fish, and I love to add a dash of it to marinades. To try these amazing oils for yourself, visit their website to purchase, or check out their Store Locator to find select retail locations in the U.S.
(6) Bauli Il Panettone di Milano. 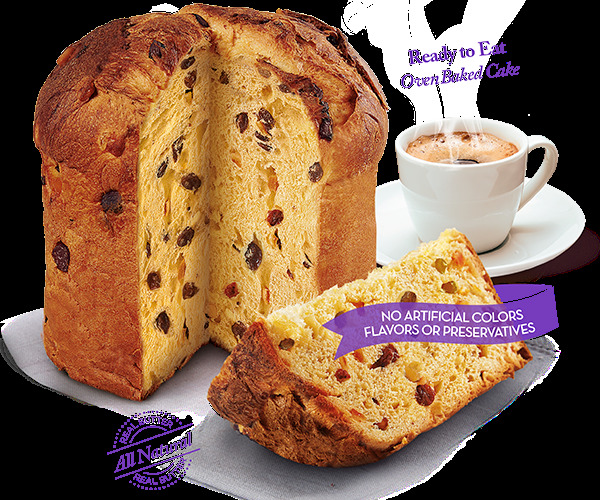 If you've never had panettone, it's a lightly sweet, fruity bread-like cake from Italy. Bauli prides itself on having combined the flavor of a homemade recipe with the technology necessary to bring authentic Italian baked goods to home kitchens. With respect for traditions and ancient recipes, Bauli products are oven baked and made with no preservatives, artificial colors, or flavors. They also contain no genetically modified ingredients. Bauli panettone comes wrapped for freshness and sealed in a box. Their panettone is a holiday tradition in Italy that's made with simple ingredients: butter, sugar and eggs -- along with sweet raisins and glazed orange peel. It's tasty with a cup of tea for breakfast, but I have plans for part of my panettone. I created a panettone-apple bread pudding with an apple-brandy sauce. I'll be sharing the recipe next week, so be on the lookout! 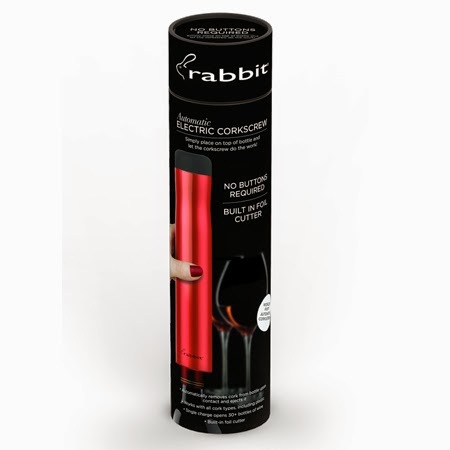 (7) Rabbit Automatic Electric Corkscrew. If you're a wine lover, chances are removing the cork is the most tedious part of the process. What if you could quickly and easily remove the cork from your bottle of wine? Enter the ingenious Rabbit Automatic Electric Corkscrew! This handy device is the world’s first automatic electric corkscrew. To use, all you have to do is place the Rabbit on top of your favorite bottle of wine and let it do the work for you! The Rabbit automatically removes and ejects the cork – no buttons necessary. Even better, a single charge can open more than 30 bottles of wine. The Rabbit works with all cork types -- even synthetic. If that's not enough to win you over, it also features a built-in foil cutter and is rechargeable. Anything that streamlines the process to get wine in my glass after a hectic day is all good in my book! (8) Dessert for Two Cookbook. There's just two of us in my house, making baking large batches of cookies and full-size cakes a bit of a calorie bomb. 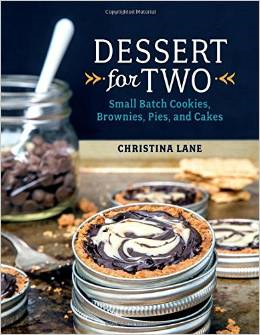 I was so thrilled to receive a copy of blogger Christina Lane's Dessert for Two cookbook. She's a Texas gal like me, and the book is infused with her sweet Southern charm! This fun cookbook is full of mouthwatering pictures...and delicious recipes for cookies, pies, cakes, and other desserts. Each recipe is scaled down to the perfect size for one- or two-person households. Some of the recipes that have caught my eye so far include Buttered Pecan Cream Puffs, Frozen Margarita Tarts, and Blackberry Cobbler with Lemon Biscuits. I'll be featuring a recipe from this cookbook in April, so stay tuned! In the meantime, you can pick up a copy of this book online at Amazon.